Hello everyone and welcome to another post. This is my intro to my blog posts which I decided to make it official like months ago. I've been going back and forth on whether there should be an intro for my posts or not and this is what I've ended up with. This was based on videos and vlogs that have it and I was thinking that the blogs won't be suitable for it, but I guess it depends on how we write. 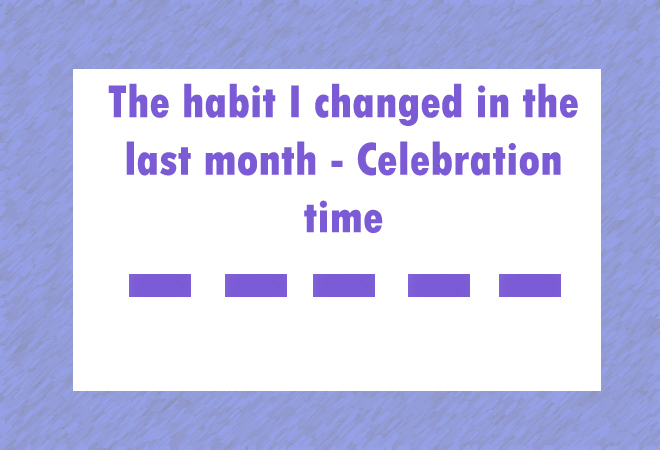 I've started doing the 'celebration victory' of my achievements in each month to reward my self and make it as a memory for years later. It's not only me who keep going on the road and achieving new things every day and this was my second goal for doing this idea. I can't imagine how amazing it will be in the future when there are people who share their wins and victory here and celebrate together. My main goal is to build a community that helps people who work hard to achieve something and get a celebration reward. It doesn't have to be a big and huge achievement to celebrate because there is no way you can do huge achievement without going through small first. People underestimating small wins they won't be successful in life. I love to take the opportunity to not only share but also, to motivate and inspire people with my belief and thoughts, also, good quotes. One of my biggest achievements this month is I was able to change my self for the better. It's hard to go from a habit to another when you have been in it for a long time and I'm proud of my self by doing it. Sometimes I keep thinking of my old moments when I was doing the old habit and I feel weird and something wrong. I couldn't be open to my family and friends about my problems and issues that happen to me for a long time. I was suffering keeping everything inside even if it was from my family or friends. If they hurt my feelings or anything. Today, we share our pains together and learn together and it's just amazing thing in life. Something I learned from this experience is that family is the best and most important and we should focus and develop it every day. This may not be a big achievement and its okay because I'm still working on it. I've developed a better relationship with my family and friends. Since you don't have any idea about what I was going through and how I did go through you won't get this achievement. I'm thinking to share my stories, Do you want to know my story? would it be a good idea to share it here?!. You haven't seen my look before and it wasn't really that good and what I want. Today, from the last month I did a great job of taking care of my skin and hair with much better results than before. I'm trying to prepare for my best friends meetings which are my goal for doing everything I'm doing right now. I've talked about it in previous posts and this is not the first time. I can't show my face right now because I'm still working on it, but soon I will be revealing it on my Instagram which will be huge for me. Let me tell you a funny story If you missed the previous post which I announced a new schedule for the posts on my blog. I picked two days each week(Monday and Thursday) because I thought that I could do every day a post, but it seems hard for me at my current situation. I posted on Thursday, but my internet got cut off on Monday which the day I should write and post a new one. I was mad at myself because I just happen to announce a new schedule and can't follow it. The previous months I was barely working(this month barely posted two posts because it was one of the toughest one) on my blog and it wasn't really good for me because I love blogging. However, this month I've started working more because I finished what I was working on and which keeping me from working on my blog. I will be posting more often and share with you guys new stuff hopefully, you will enjoy it. Most of my ideas I add to the blog have good future posts which the big reason that allows me to add new stuff. I've been looking for time and plan to read other people blogs which is really fun for me because I get to learn a new thing every day. The next goal is to interact with other blogger and make new friends which I'm still working on, but I'm on the way. Reading blogs will help me a lot to meet them and start new friendships. I've never thought of doing a collab with other bloggers and soon I will make it on my goals list. This month I was able to read some blogs which are` really fun as I said and learned new stuff. I've been growing a lot lately on my social media and the fact that I never reached any of milestone I did now it's just amazing. I just got my first 500 followers on Instagram. my first 600 followers on Pinterest, it was great feeling though it still a small number. My uncle reacted like it was nothing when I told him about it and it's okay, this is not what I'm looking for and what I want. They will be impressed soon when I get much higher. My biggest struggle right now that I'm working on achieving it is making my profiles more active with amazing posts. I'm figuring out the social media life haha because I live a normal life and I can't decide what to share and how to share it. My next goal is to update my profiles with a new profile picture that can be better than the current one. I believe this will be achieved in the next month and it will be for the next month celebration with more awesome things. I started by sharing my achievements in my real life and then my blogging and last one was my social media. This is a new style because I've never done it before, what do you think of it?. 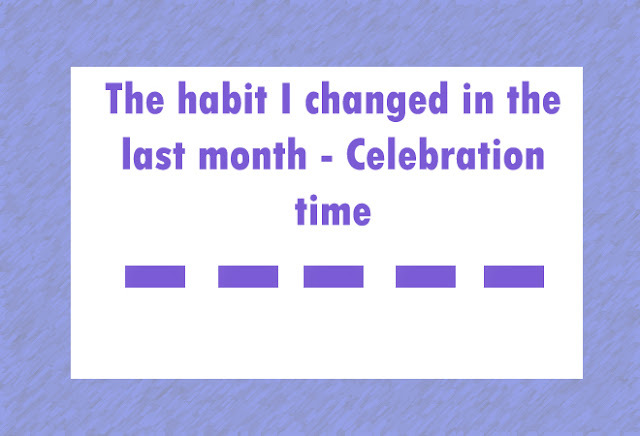 Now, its time for you to share your new achievements and wins for this month. Did you get something done that you've been trying to finish in a long time? have you accomplished any of the hard goals you have in your life? we would love to know and celebrate together. You're absolutely right! We do need to celebrate even the little goals in life. I just hit 100 members on my Facebook Group and I am just amazed! I never thought I would see it but in just 2 short weeks I hit this major goal! Thank you for sharing your story! Thanks for sharing your thoughts here! DOn't worry about your uncle; you're doing this for yourself, not for him! Whether or not other people are impressed with the things we do does not validate or invalidate our successes. Success is internal. Well done on having a great month; I love your idea of looking for the achievements of each month! Even if small steps are taken in the right direction, they are bound to yield positive results, so keep doing it.. I am sure you will have many more achievements to celebrate. celebrating your achievement goals is very awesome moment! Nice article of you. It's the small goals which matter in the long run..every achievement has to be celebrated and it serves as a motivation for the next...Yes reading blogs is fun..